This frame design has remained popular for over 30 years. The mattress drapes over the back of the frame. 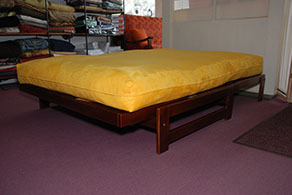 It easily converts to a bed by pulling from the front of the frame. With this particular frame, getting in and out of bed requires little effort. 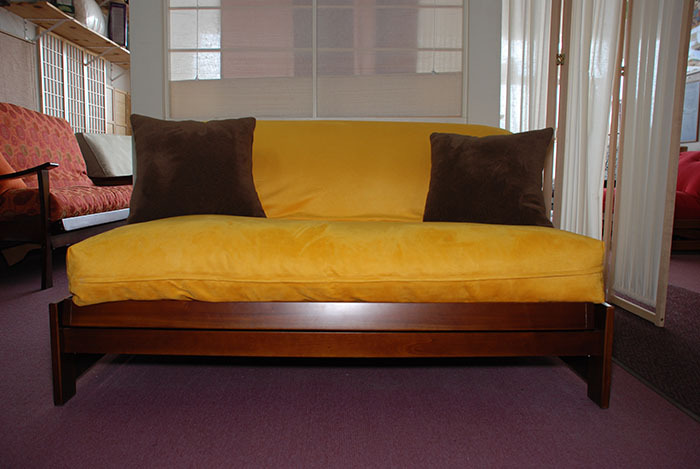 A perfect loveseat for any room!